Quickly becoming a new local favorite, New Growth Clothing puts emphasis on sustainability and supporting local businesses. Brothers Dan and Derek Bruton are trying something different with New Growth Clothing. 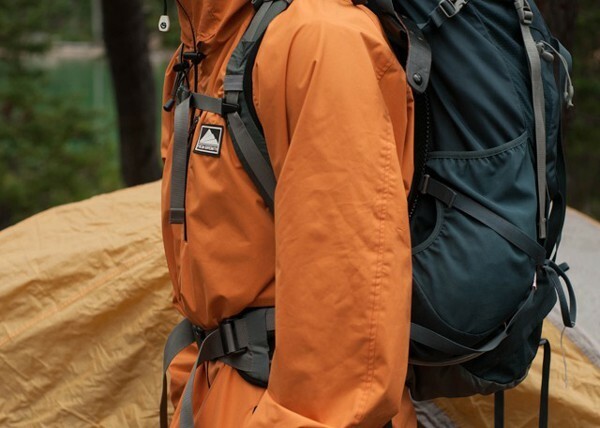 They are making the first U.S.-made technical winter jacket constructed from recycled bottles with help from the Kickstarter community. Both brothers have a strong and enduring love of the outdoors, so they figured having an Oregon-made, eco-friendly jacket was they way to go. The Kickstarter video doesn't just go into the sustainability of these jackets, but also focuses on the national pride in knowing where your clothing comes from and buying local. It is the perfect storm of ideological stances that Oregonians are so passionate about. The Source recently chatted with Dan Bruton about the company's roots and aspirations. Source Weekly: Tell me a little about how the company started. Dan Bruton: Growing up in Bend, Oregon, my brother and I were constantly outdoors; skiing, skateboarding, camping, and fishing. This respect for our surroundings led us to create New Growth Clothing four years ago. We were tired of printing on clothing made in other countries without any pride or integrity, which also led to poor-quality products. So we decided to manufacture all of our garments out of recycled and sustainable materials, here in Oregon. SW: What do you hope to accomplish most with this company? DB: We want to bring more jobs to Bend for our friends and people in the Bend community. As we grow, we hope Bend will grow with us creating a symbiotic relationship between our company and the community around us. Our dream is to open a retail shop along with a warehouse so we can do everything here in Bend. We still have a ways to go, but nothing comes easy in the fashion clothing industry. We focus on maintaining organic growth by investing all our profits back into the company. We have no investors to rely on, just hard work and steady organic growth. We want to be Oregon's premier clothing line. SW: Did you expect such a hubbub about the stickers that happened earlier this year? The accusations about "encouraging graffiti" must have been incredibly frustrating considering the whole purpose of your business. DB: Yes, it was incredibly frustrating to hear people bad mouth and put down our company due to stickers placed around Bend. We in no way support vandalism or graffiti and that was not the goal when we hand out these free stickers. It's simply a way to advertise and get our name out so people spread the word about our story and what we're trying to accomplish. In all honesty, I'd rather see a local company's sticker up around Bend instead of a Dutch Bros or another non-Bend-based company. In the end it was fine. People who didn't know about us sent hate mail before they did any research on what we do or what we're about as a company. The awesome part was that we had so much more positive feedback from our followers asking for more stickers and reinforcing that they support us and believe in our cause. The support from our New Growth family was overwhelming—without our fans, we wouldn't be where we are today. SW: How is the Kickstarter going? DB: The Kickstarter campaign for our Oregon-made, eco-friendly jacket is going pretty well, as we are over 30 percent funded in nine days. We are currently at $13,000 and need to meet our goal of $35,000 in the next 24 days to make our dream a reality. It's a nerve-racking wait knowing that it's an all-or-nothing campaign. We've been receiving a lot of questions regarding when the jackets are available, so I don't think many people understand that if we don't reach our funding goal then nothing is made. Once we are successfully funded we can go into manufacturing these jackets in Oregon. If we fall short of our goal then we are left with thousands of parts to a jacket and no way to manufacture them. SW: What do you want Bend to know about what you're trying to do? DB: We want more of Bend's support, there are so many great local Bend companies and as a community we should be supporting the members of our community, right? We want to change the way the fast-fashion industry works by taking pride in what we can make here in Oregon. Passing on huge profit margins and cheap wages overseas, we want to bring jobs to Oregon and keep them here. We want Bend to jump on our movement to help us prove it is possible to create clothing in the U.S. as sustainable as possible. We need Bend's help in growing—with our growth so too will the jobs and availability to create other opportunities for us Bendites. So we ask Bend to join us in taking pride over profits. Click here to learn more and support New Growth's Kickstarter campaign.